Having just released their Decades collection, Nightwish have now revealed that they will indeed be returning to some of the UK’s biggest stages in December. With a headline performance at Bloodstock Festival on the way, the year is shaping up to be suitably huge for a band that isn’t doing a great deal creatively. 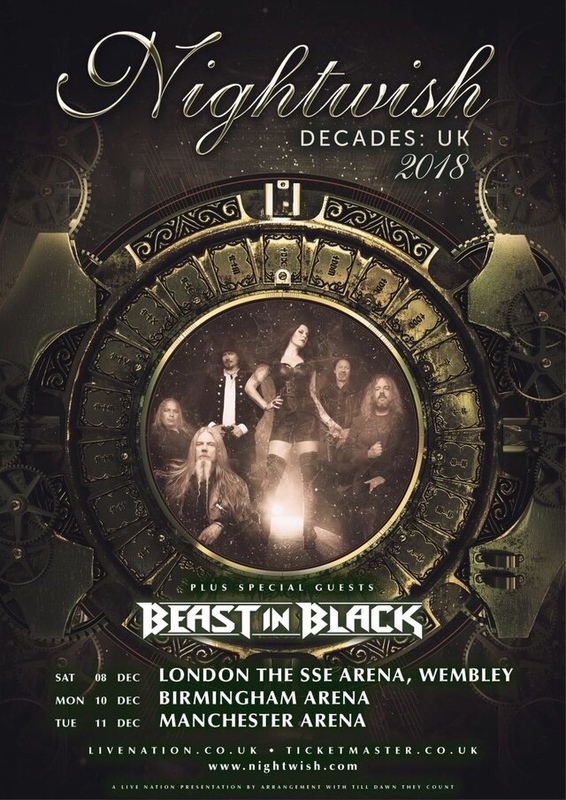 Today the group have announced their end of year show bonanza with support from Beast In Black, for the second time Nightwish will perform at London Wembley Arena and I for one am going to make sure that I’m not missing out on this one! Gutted after finding out that the last time Nightwish appeared they performed their cinematic overture that is “The Greatest Show On Earth” including an appearance by one Richard Dawkins, I certainly am not going to sit around again! I can guarantee you that this is going to be a massive way to see the end of 2018. Tickets go on sale March 28th.